A popular contemporary style laminate kitchen providing the matte look. The great advantage to matte finish kitchens is there is no reflection of light, fingerprints or imperfections from wear or tear compared to the glossy counterparts. Matte finishes can also look more consistent not reflecting other light into the product. 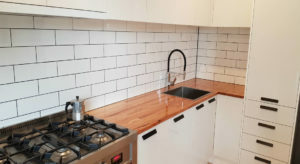 This kitchen is super easy to keep clean and will suit any home. Matte finish kitchens are experiencing resurgence and in fact in Europe it is the leader in kitchen styles. 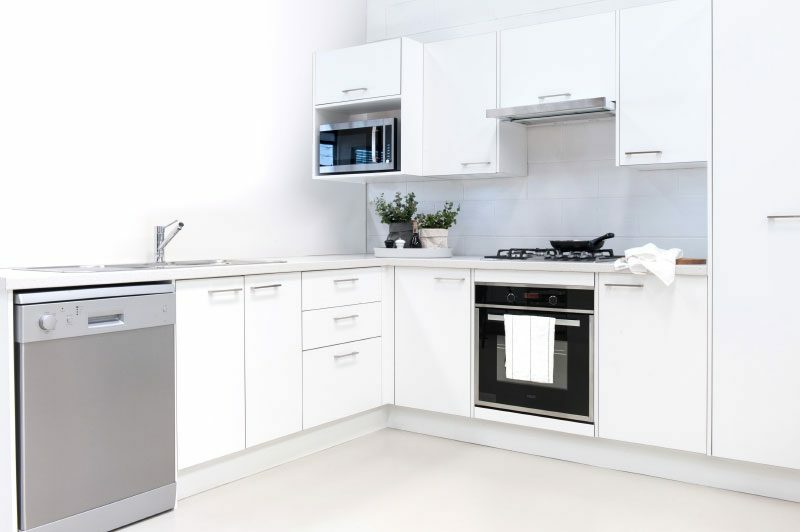 Offered here in white, due to popularity and can easily be mixed with any colour benchtop or panels, stainless steel handles and matching appliances. Great durable look.